NANAIMO, B.C. - A long-serving Conservative member of Parliament from Vancouver Island says he won't seek re-election in 2015. 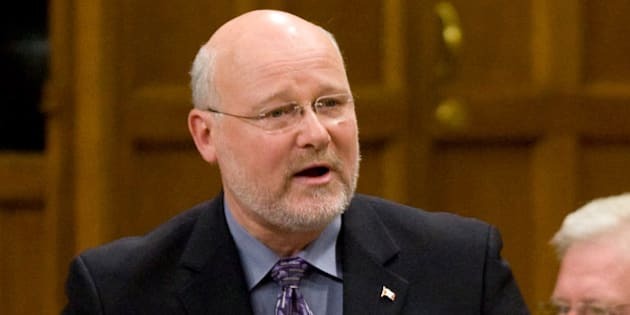 James Lunney was first elected to represent the Canadian Alliance in the riding of Nanaimo-Alberni in 2000 and has been re-elected as a Conservative four times. The Parliament of Canada's website says he has served as a critic, assistant critic and on numerous committees. But the federal electoral boundaries are changing to create six new seats in the province, and Lunney says he's unwilling to leave half of his current constituents behind to run in a new riding. Lunney received more than 46 per cent of the vote in the May 2011 federal election, beating out the NDP's Zenaida Maartman by more than 5,300 ballots.